Often in our society today the lines between parent and friend become blurred. On social media I often see “My daughter is my best friend!” While there is nothing wrong with saying that, is it really our goal as parents? For me, my goal as a parent is to raise my children in the Lord and to raise them to make good choices in their lives. To be examples to others and to be positive members of society as adults. 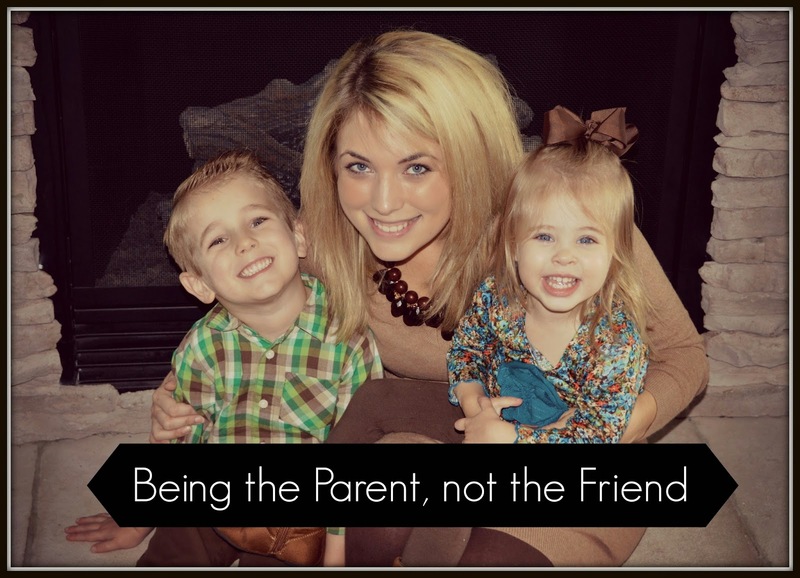 It is a struggle as a mom to not give in and become the friend. I love my children so much and it’s not easy to tell them no. It’s hard not to buy them every toy they could ever want! Sure I’d love to stay up late giggling with them. It’d be so relaxing to let them watch tv all the time! It would be far, far easier to let my children rule the roost. Keep them happy by giving them everything they desire. Be their friend by letting them have everything they want, whenever they want it. I have been through times of personal struggle in my life that has made it even more difficult not to look at my children as a source of love for me. But that is not their role. They are not the parent, I am. And it’s important to always keep that perspective. They need my love. They need my protection. They need my wisdom and guidance. Always! Having Babywise in our lives has helped my husband and I to keep that line clear between friend and parent. We have structure and order to our day, everyday. Our children do not decide when they eat or when they sleep, we do. Babywise is family centered, not child centered. So much of the “friendship parenting” that takes place today is due to child centeredness. That is something we want to avoid in our home so we have focused on establishing Babywise principles from day one. Many aspects of Babywise help us to keep that balance of parent over friend. From the scheduling, to the eat-wake-sleep cycle we put in place, even to independent playtime. While my husband and I are always the leaders of our home, that doesn’t mean that we don’t still have fun in our family! Using Babywise and having that structure in our day actually allows us more freedoms and more ability to be that fun Mommy and Daddy we want to be! Yes, structure and discipline are so, so important. But so are creating loving, fun, lasting memories with our children. Since our children have structure in their lives, we know they will be happy when they are awake! They will be well rested and have full bellies and better be able to have those exciting memorable times with us! We travel a lot as a family and even when traveling we maintain our structure and routine and our expectations for behavior (you can read my post on Babywise travel tips here!) We spend a lot of time at home building forts, playing pretend, and even watching movies together. Even while doing those fun things, it is always clear that Mommy and Daddy are the decision makers while having fun together too! Sure, occasionally we let our children stay up a little late. Or let our older child skip nap. But it is not the norm in our home and is always because the parents discussed and decided it, not the children. While I do not consider myself to be my children’s friend, and I do not think others view me as a “cool mom,” I am okay with that. I know that years from now my children will respect me for putting these boundaries in place for them and for raising them to follow the Lord’s path. I know as they get older we will have plenty of time to be friends. My days of having to discipline, of needing to structure their days, of having to make their decisions will fade and then we will be able to be truly wonderful friends. I am looking so forward to that phase of life! Our hard work will pay off and we will get to enjoy our children as adults!!! What bigger blessing could life bring? As the product of a more relaxed parenting environment myself, I know I look back and wish my parents had provided more structure for me in many ways. Sure we had plenty of fun, but there wasn’t a clear parent/child relationship. Those friendship vs parenting lines were very blurry and I personally would have benefited from a more clear distinction between the two. As an adult I am not friends with my parents and I fully believe that if they had a more clear line as I was younger, then we would have a better relationship now that I’m older. Emily blogs at The Journey of Parenthood. You can see my post today on A Mother Far From Home. 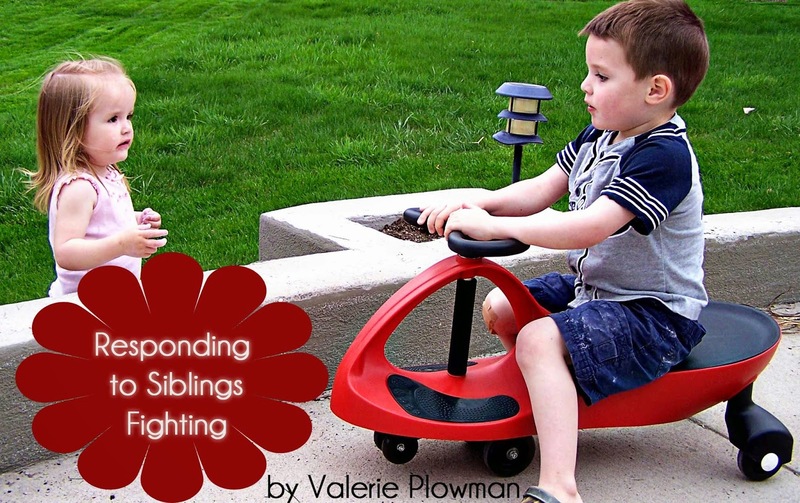 I am talking about siblings fighting.